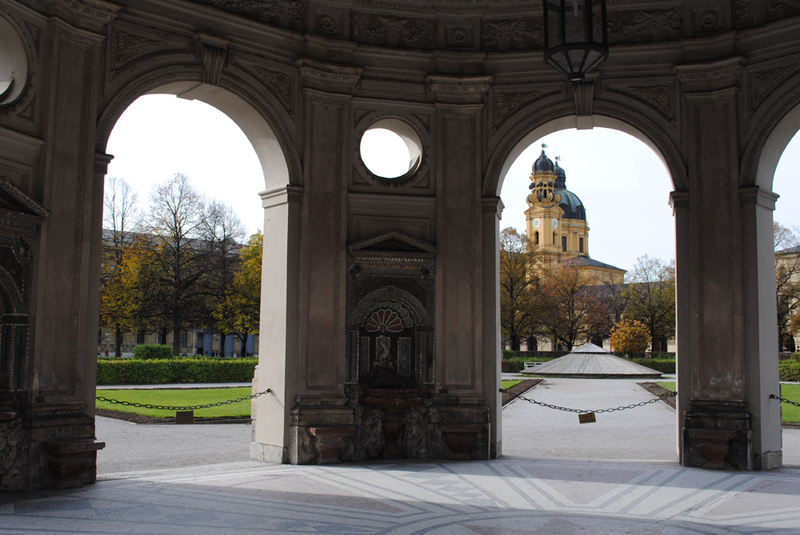 Last November I traveled to Munich with my husband and mother-in-law. November was cold! but there was enough autumn colour left to brighten up the city. Especially the gardens. The above photos are from the Englisher Garten. 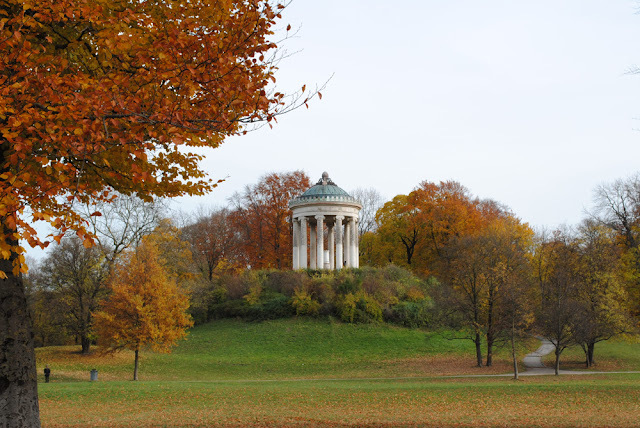 The English Garden is a huge park in the middle of Munich and is named thus because it is in the "English Style". It has a more flowing natural feel than most German parks at the time it was created. 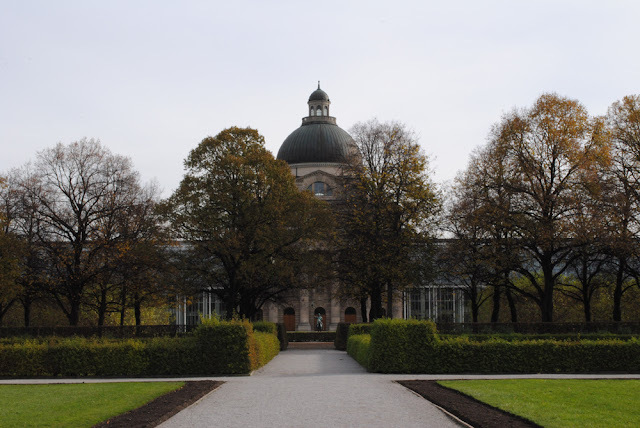 Most other parks were rather formally structured like the Hofgarten (below), with lots of paths, hedges and fences. We stayed at Hotel Mons am Goethe Platz. For the price the hotel has a reasonably nice modern acetic and furniture. When we stayed however we found dirty curtains, mouldy showers and an unfriendly reception. We had paid for breakfast to be included. One morning while eating breakfast we were told we hadn't paid, when we insisted that yes we had, the matter was dropt but very ungraciously and with no apology for the misunderstanding. Breakfast didn't have a lot to choose from, but what was there was good. Overall I wouldn't recommend staying at Hotel Mons. 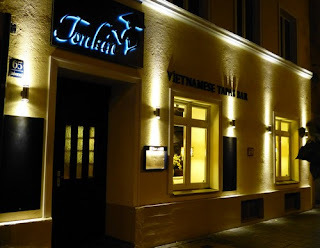 One place I would recommend if you are in Munich is the Vietnamese Tapas Restaurant Tonkin. 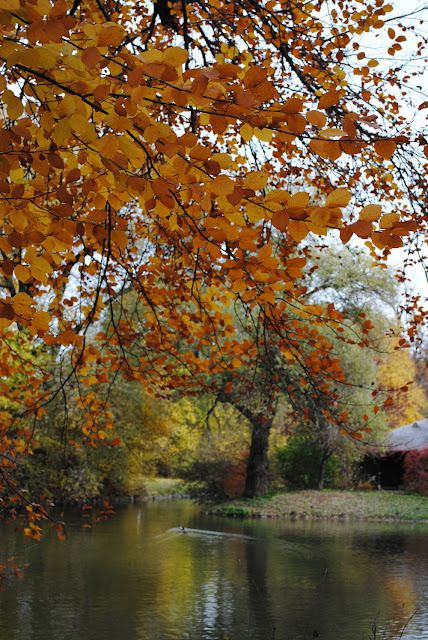 It is located not far from Hotel Mons at Lindwurmstrasse 65. It was almost full when we turned up without a booking and they happily seated all three of us, even though the only table available was a table for two. We all ordered the same dish, a curry with sweet potato and rice. We all agreed it was delicious! I also had the fresh squeezed orange juice and it was super refreshing, sweet and delicious. The service was fast, friendly and unobtrusive. 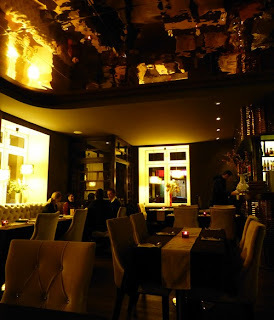 To top it off the decor was quite something special as well -especially the brass ceiling. This place totally got my thumbs up, I wish I lived closer so I could go there again and try more of the dishes. I didn't get any photos of Tonkin so the above two are from Gastroguide München. I love Munich! It's so pretty! I miss it =( I'm impressed you managed to find a good Asian restaurant! They're quite rare in this country it seems! Yes good Asian restaurants do seem quite hard to find here!